Author/Illustrator Matthew Holm: Green Arrow getting involved with the Iranian Election? 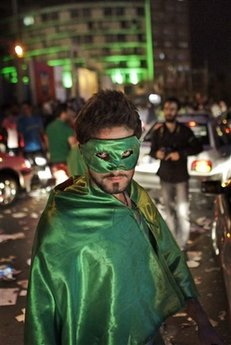 Green Arrow getting involved with the Iranian Election? We all knew Oliver Queen was a closet commie, but who knew he was concerned with Iranian politics?